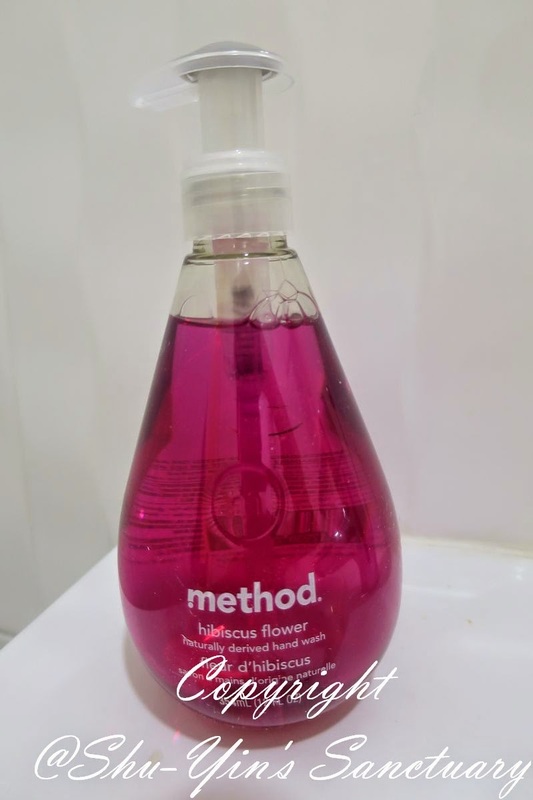 A few weeks ago, I was asked if my family are keen to try out method's range of eco-friendly hand washes. 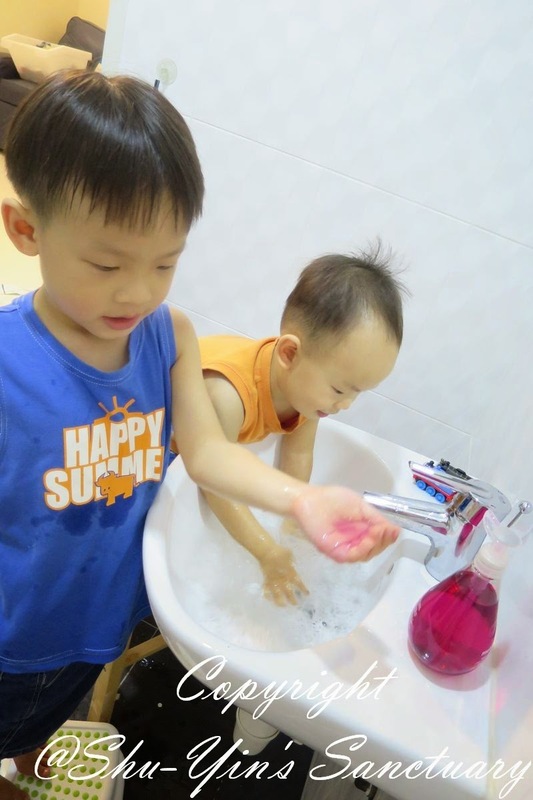 With little ones at home, there can never be too many hand washes in the house. 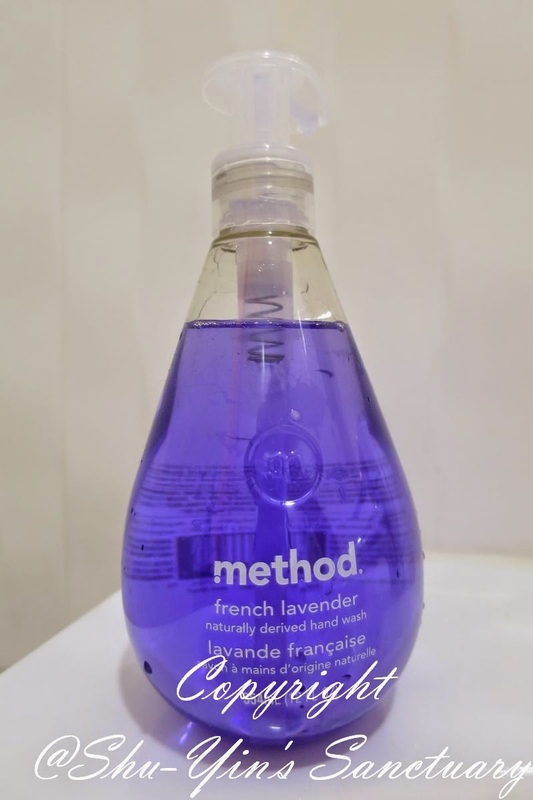 Who and What is method? Eric Ryan and Adam Lowry, proud brain-parents of method and the very first people against dirty™. Ryan and Lowry and its team are the people against dirty and they are here to make products that work, not only for us but for the planet as well. 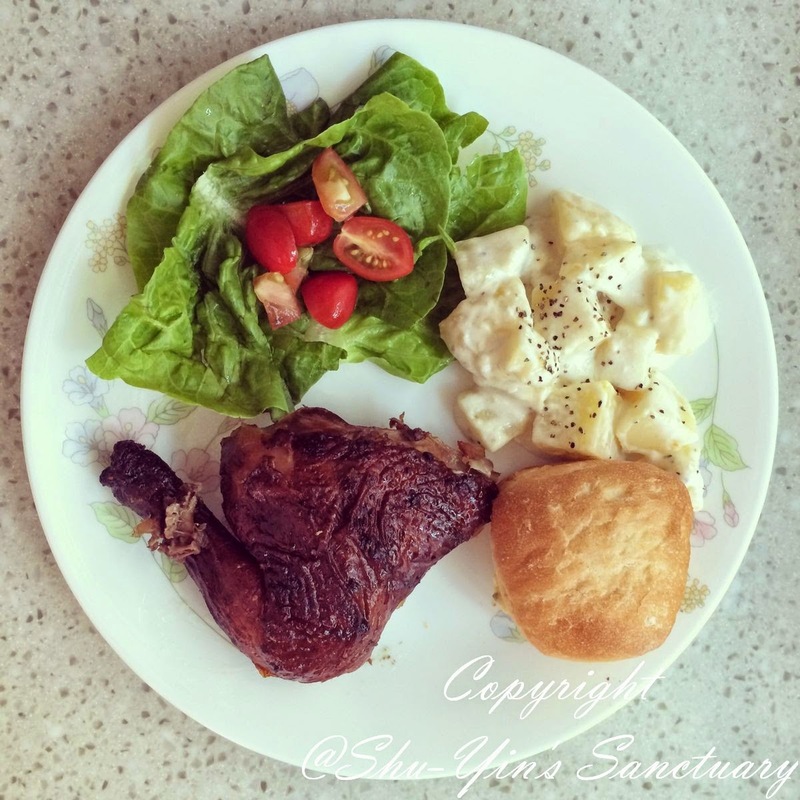 method's mission is to inspire a happy, healthy home revolution. 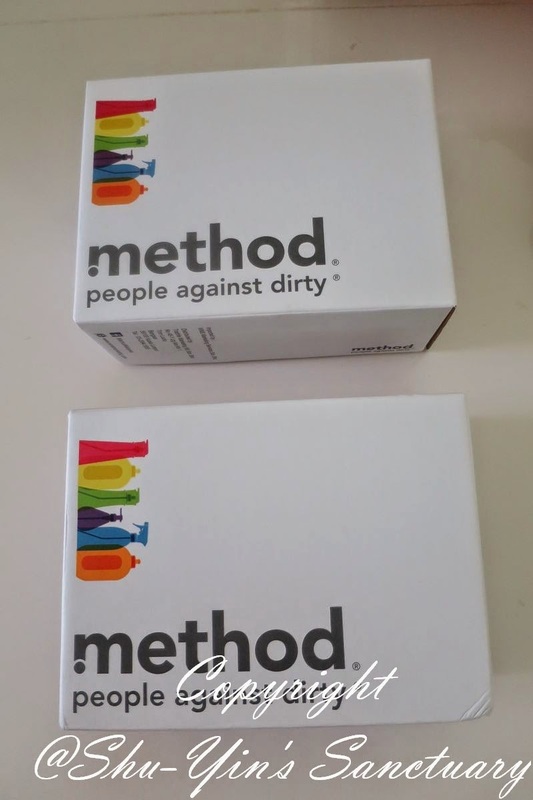 Method's trademark term people against dirty™, and by 'dirty', they don't just mean the stuff dust bunnies are made of. 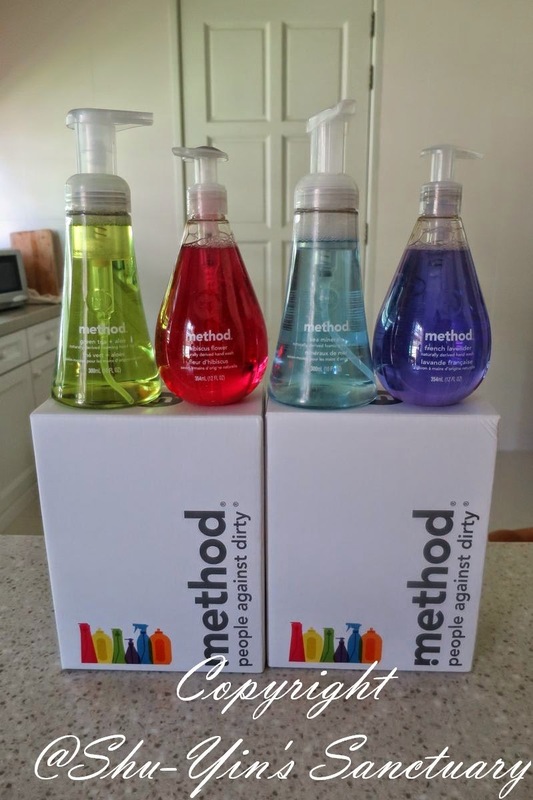 method is about more than just cleaning up our home and our body; it's about cleaning up the way we clean. They see business as a powerful agent of change: for people, the environment and our communities. I received a heavy parcel by courier, and when I opened it, there were two sturdy boxes inside. 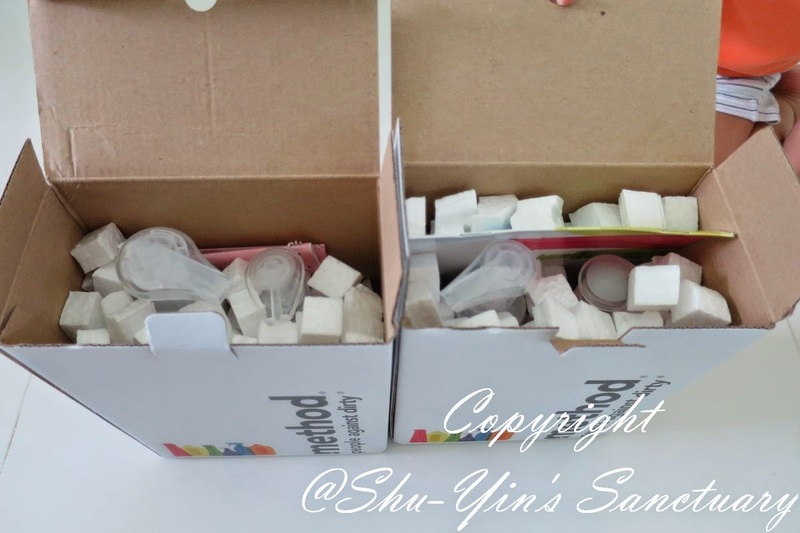 The boxes were sturdy and made of hard and thick cardboard, thus protecting the contents inside so that it was not dented or spoiled in any way. And when flipped open the lids of the boxes, I was even more surprised to see another extra layer of packaging protection. There were small pieces of foam to protect the bottles so that they won't be shaken too much. Double thumbs up for packaging. Both my kids were as excited as me whenever we open up any packaging. I don't know why Khye gave me this expression when I asked them to smile. 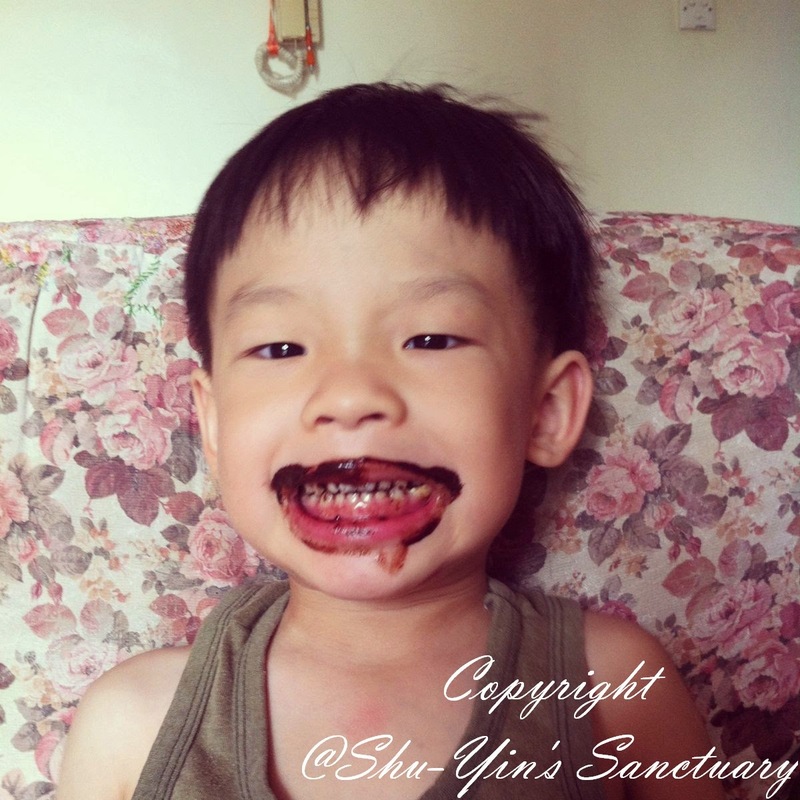 I find it cute, so his pic is here. lol. And oh, please pardon Shern's tousled hair. He had just came out from the shower. This is what we received. First impression, nicest hand wash packaging ever used in this household! The hand wash bottles also came with a very nice booklet brochure. First of all, let me show you in more detail how each of the bottles look like. We received two bottles of their most popular naturally derived Gel Hand Wash - french lavender, and hibiscus flower fragrance. and two bottles of their naturally derived Foaming Hand Wash - green tea + aloe, and sea minerals fragrance. 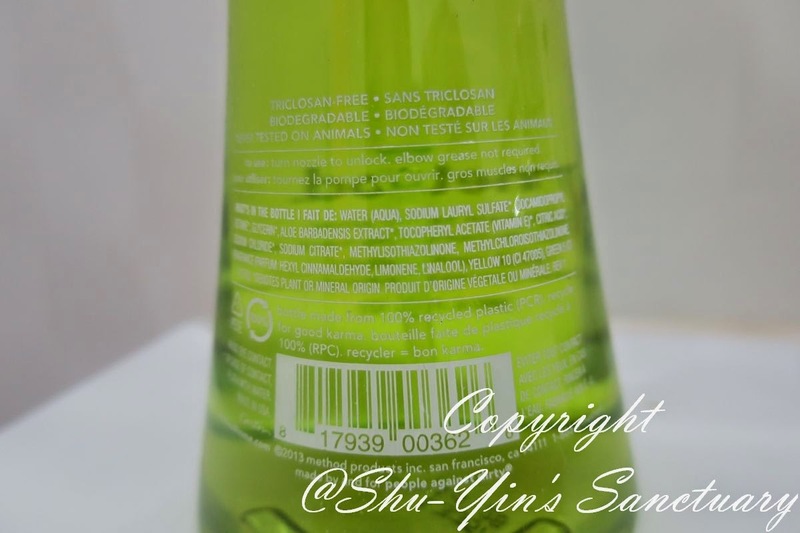 These are the ingredient lists of the bottles (click to view the photo larger). Ok, maybe you really need to squint a bit to be able to read those tiny words. haha. 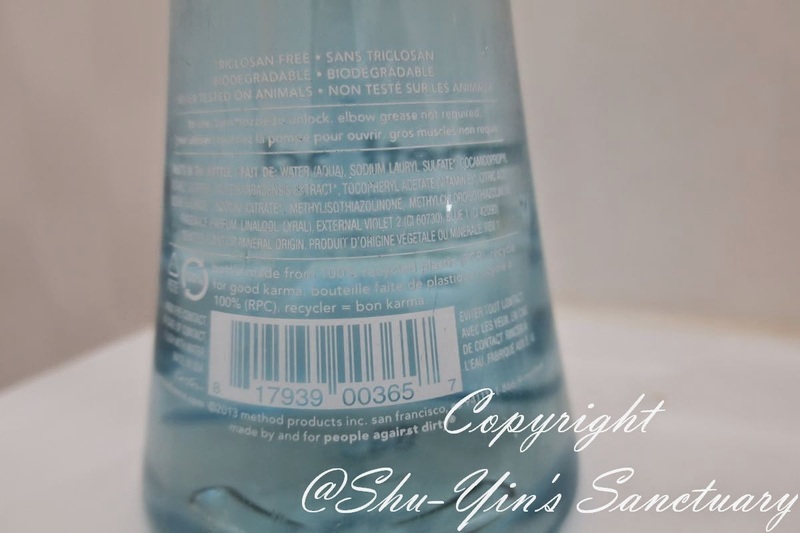 But is difficult to take a picture of the words because the bottles are transparent. 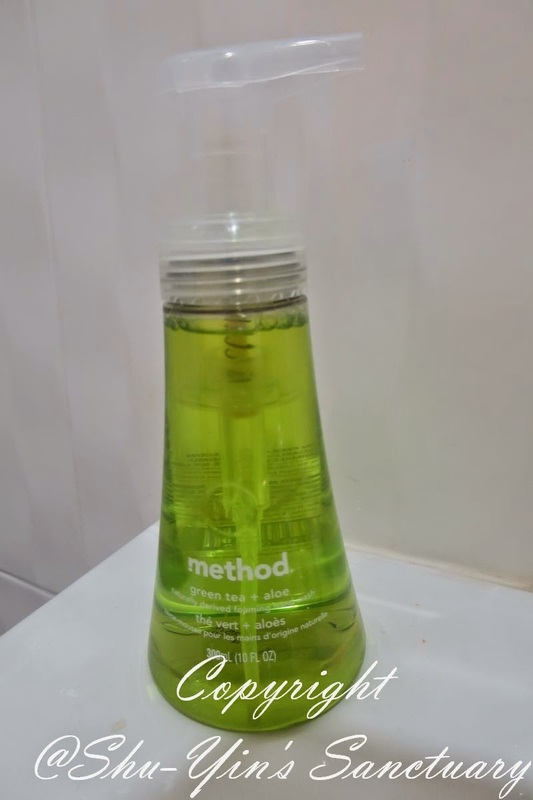 Anyway, method believes in transparency, so they disclosed all of their ingredients. And they also make recyclable PET bottles from 100% recycled plastic, thus resulting in zero waste and a 70% lower carbon footprint. Very environmental-friendly indeed. 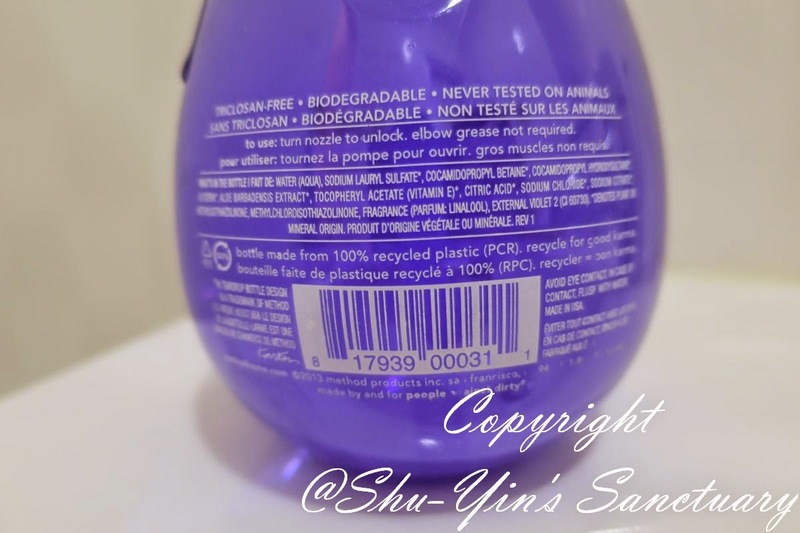 Shern straightaway chose the French Lavender Gel Hand Wash to try on, because purple is his favourite colour. The gel is transparent with a purple tinge and is rather liquid. It washes really well and a little goes a long way. The smell is pleasant and floral with a tinge of lavendar scent. It smells like real lavender, and not too strong a smell. I'm glad that it does not smell like those too-sweet-lavender-candy smell. 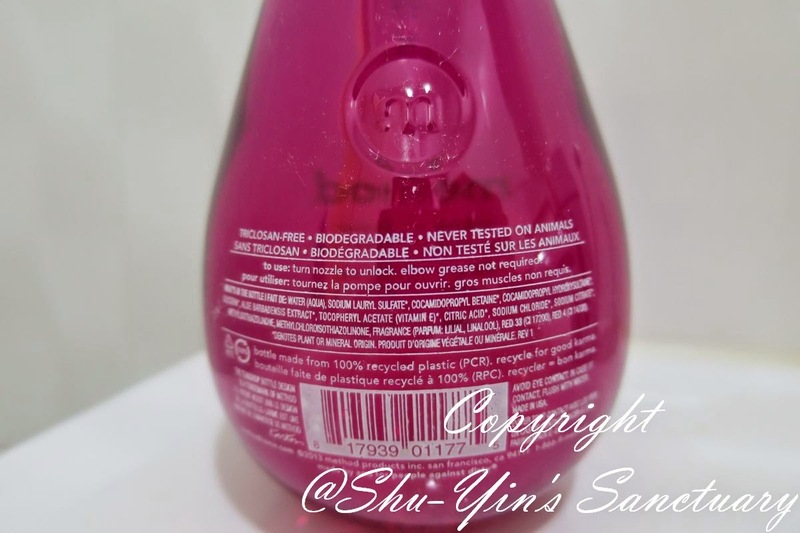 Shern also couldn't wait to try on the other scents because the bottles and colours are too pretty, and it actually appeals to my kids that they wanted to try it. 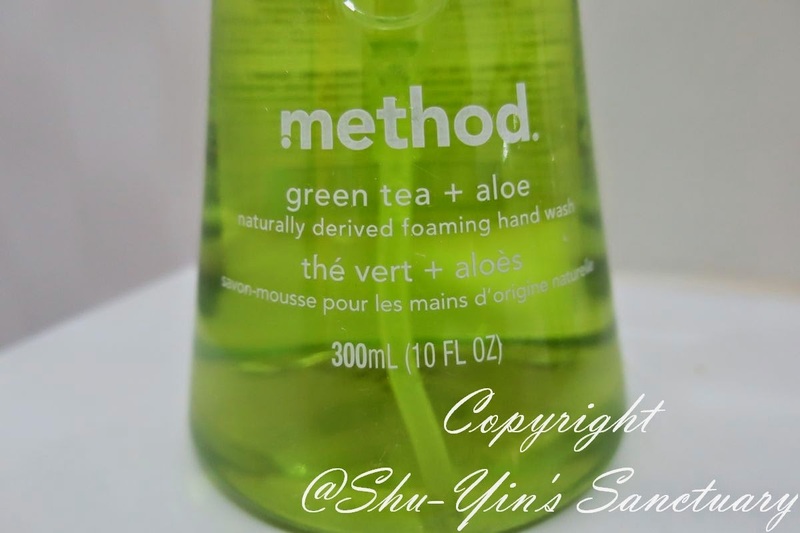 I let Shern tried the Green Tea + Aloe Foaming Hand Wash.
And once he tried the foaming hand wash, there is no turning back. 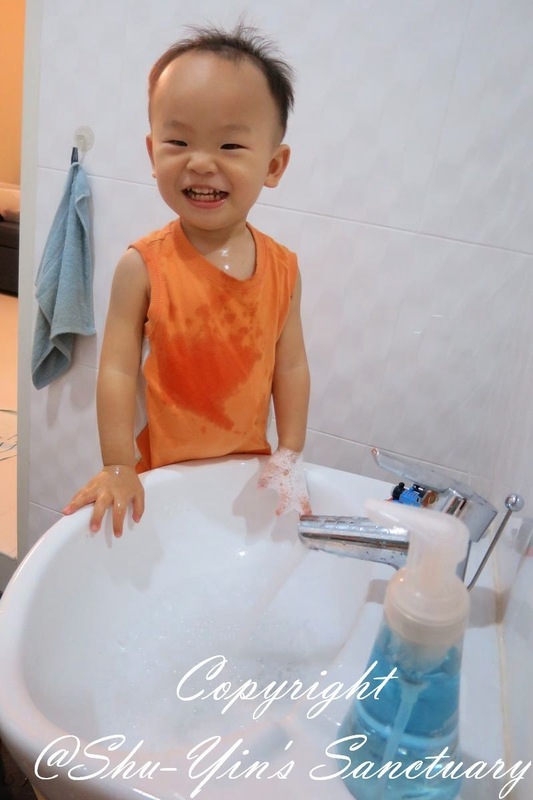 He was super surprised and happy to find that it squirts out foamy 'bubbles', that was what he said! 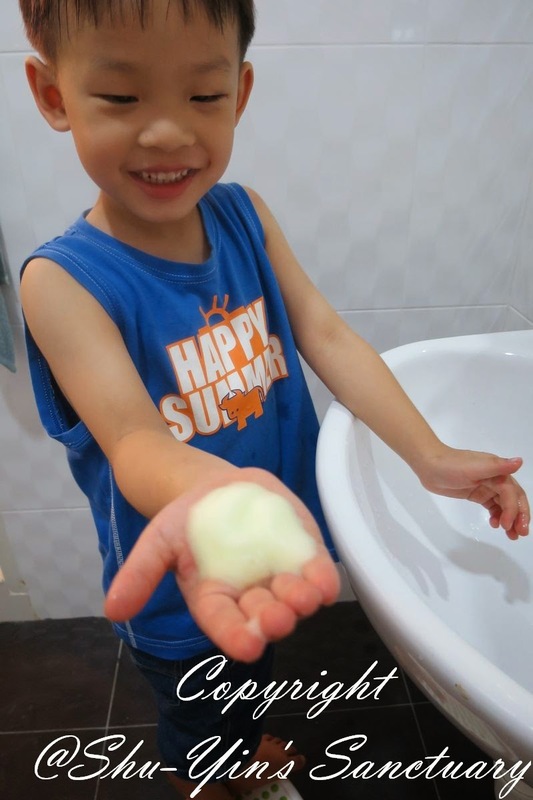 Look at his happy face, showing me the foamy soap on his hands. 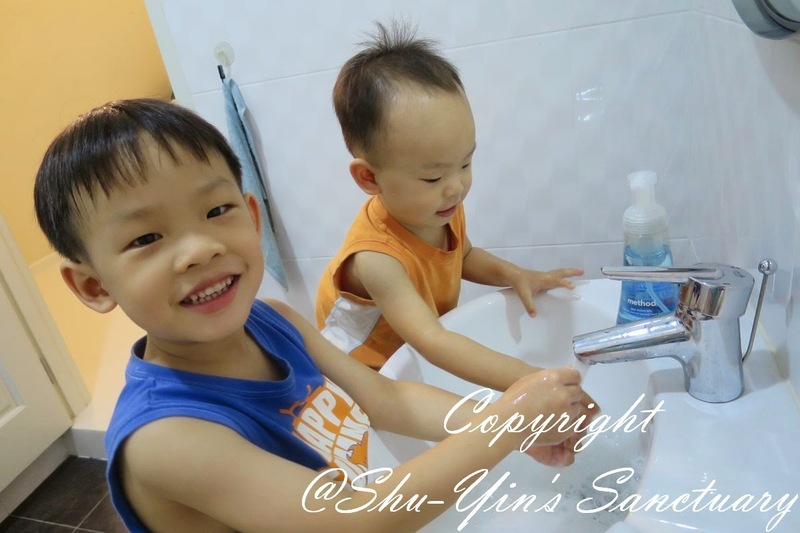 And Shern called on his 'lil brother to try the soap as well. 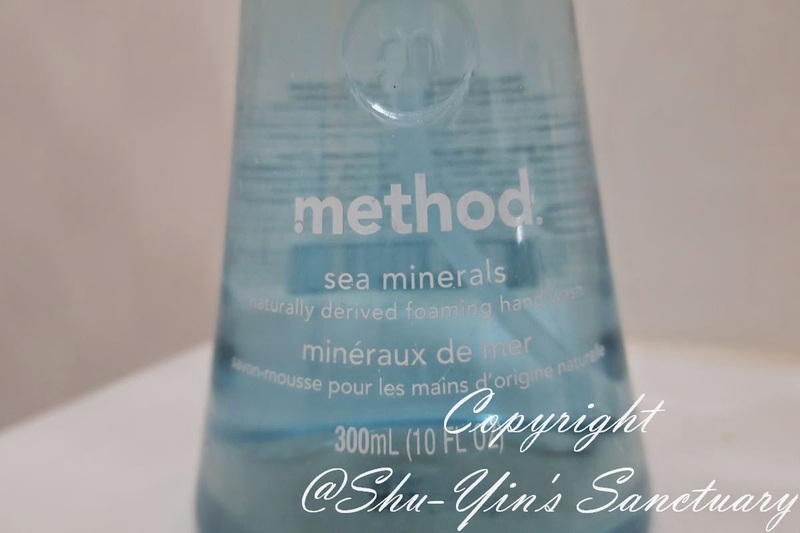 And they both together tried out the Sea Minerals and also the Hibiscus Flower hand washes. 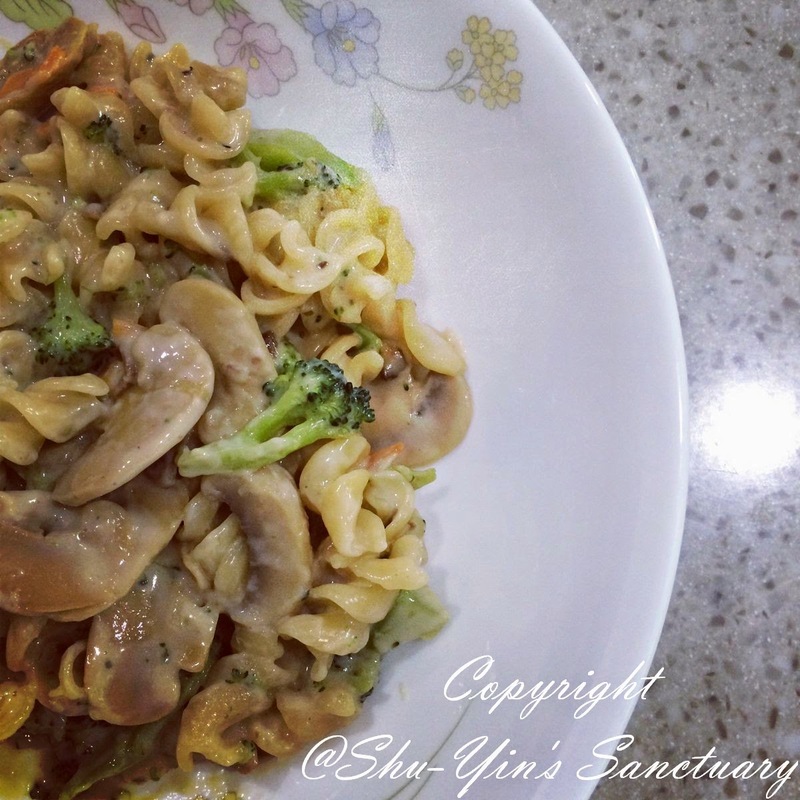 And after that, Shern couldn't stop sniffing at his hands, lol. 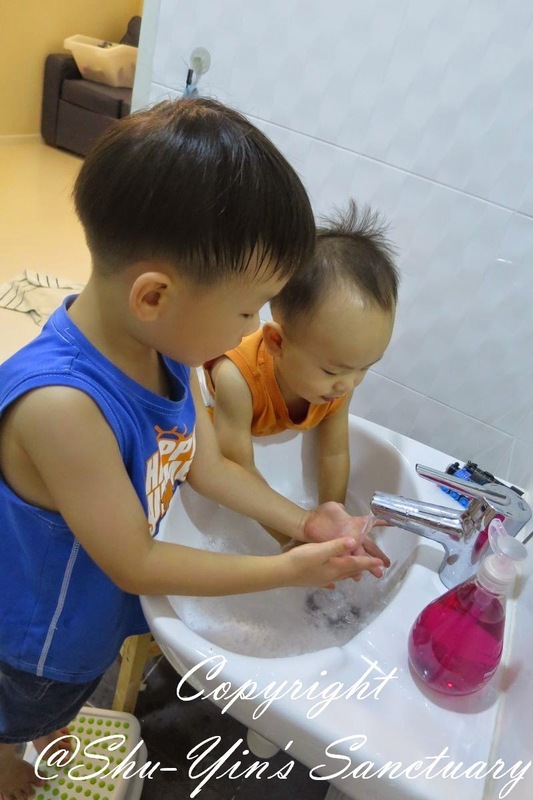 Love to see both of them bonding over hand washes. Really great indeed! 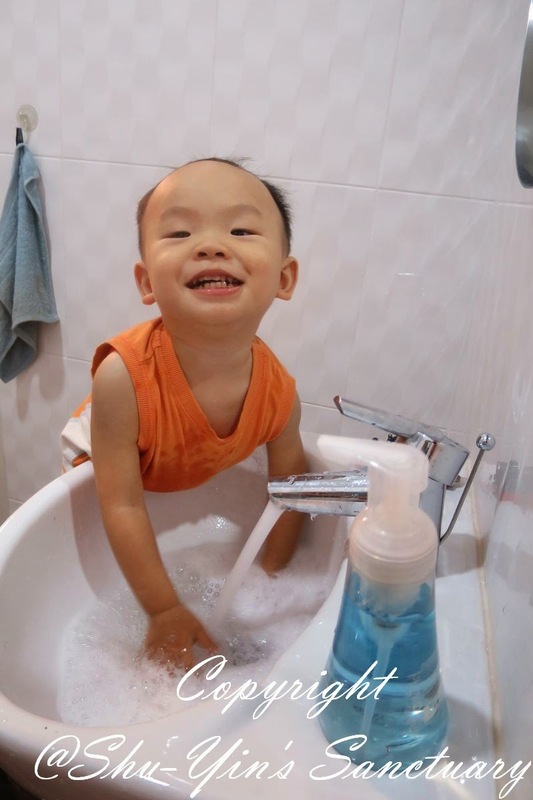 And my cheeky little man, he is one that loves hand washing time. 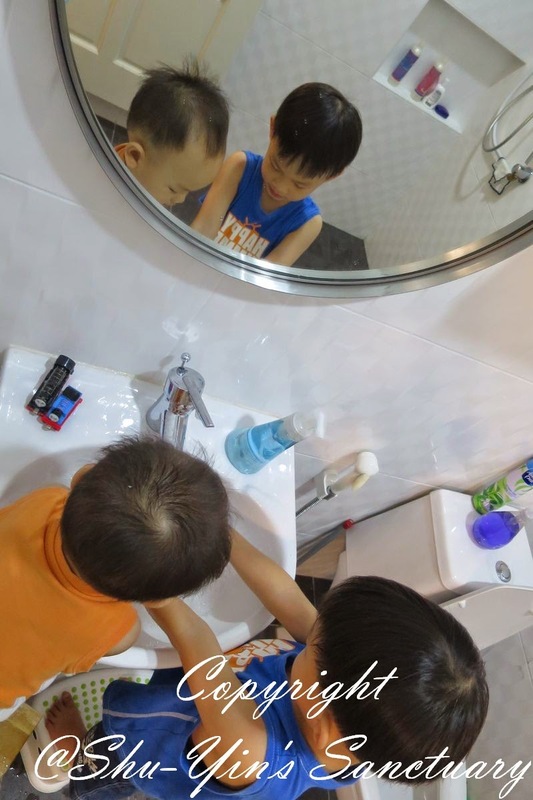 And he even cries at times when I needed to pry him away after washing his hands. 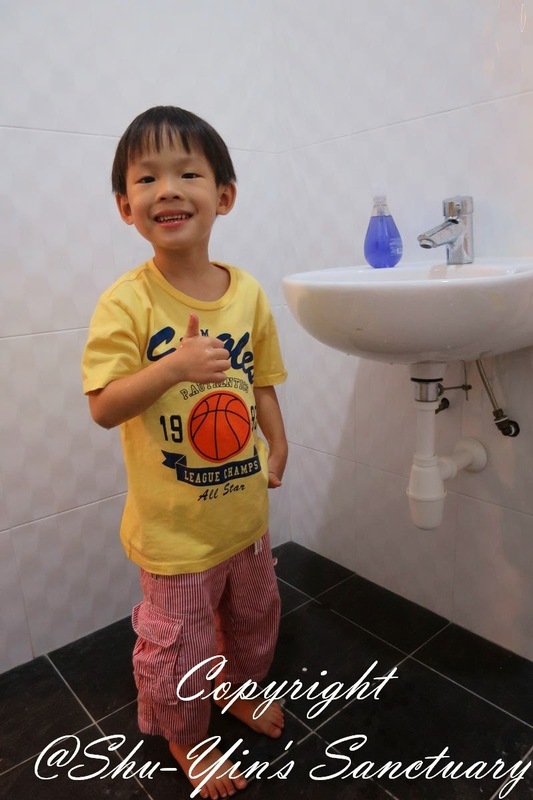 He just wouldn't want to stop washing his hands. 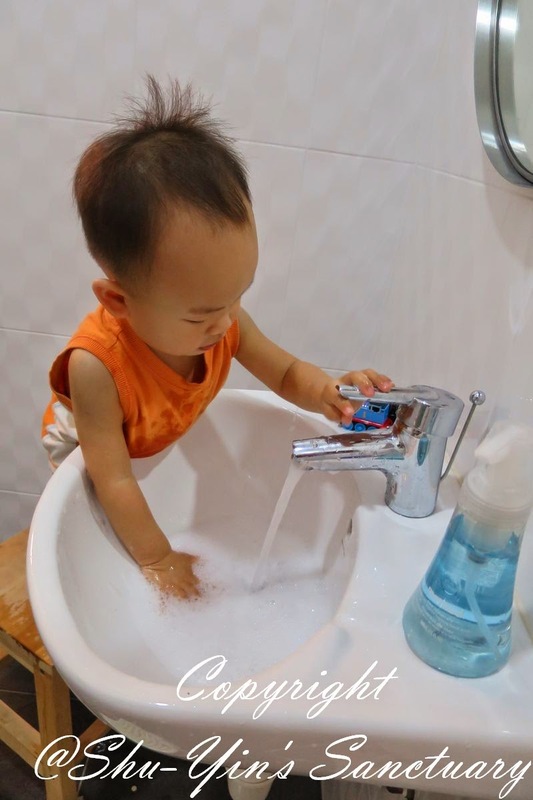 He just wants to wash his hands again and again. 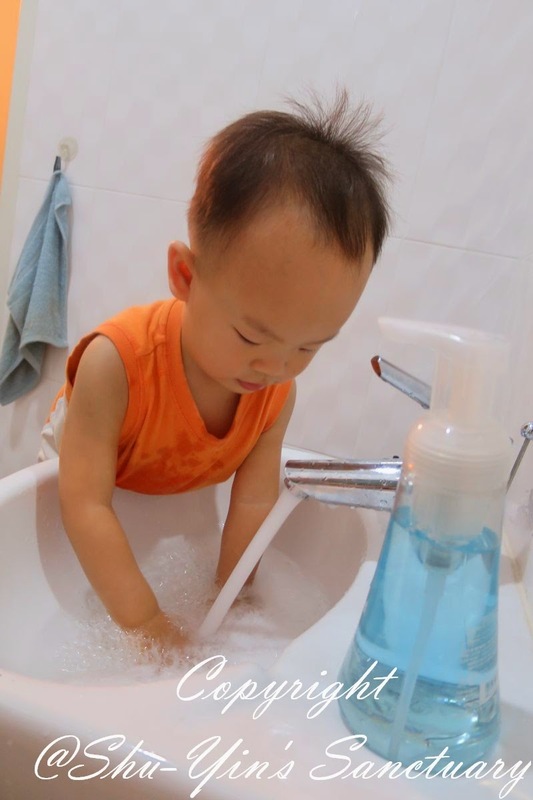 So it is really important to find a safe hand wash for kids like him, to take care of their delicate skin. Look at him, all wet from hand washing! 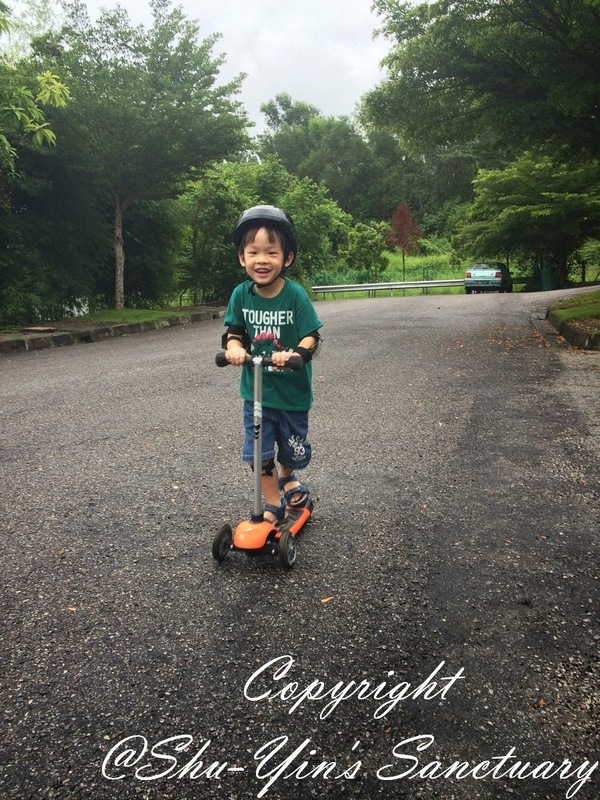 Both my kids do quite a lot of outdoor activities, such as Shern cycling and riding his scooter around the neighbourhood, or just running around the porch. 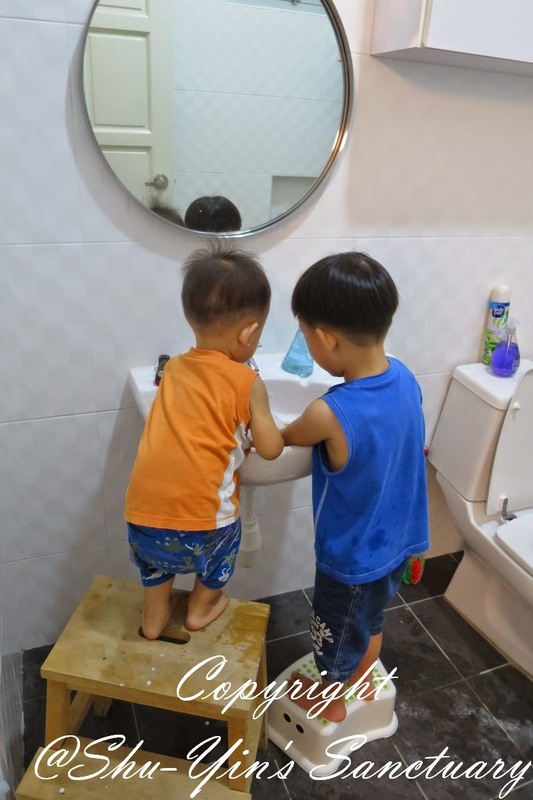 And after that they would be all dirty and you need good 'ol soap/hand wash to wash their hands, and even feet sometimes! 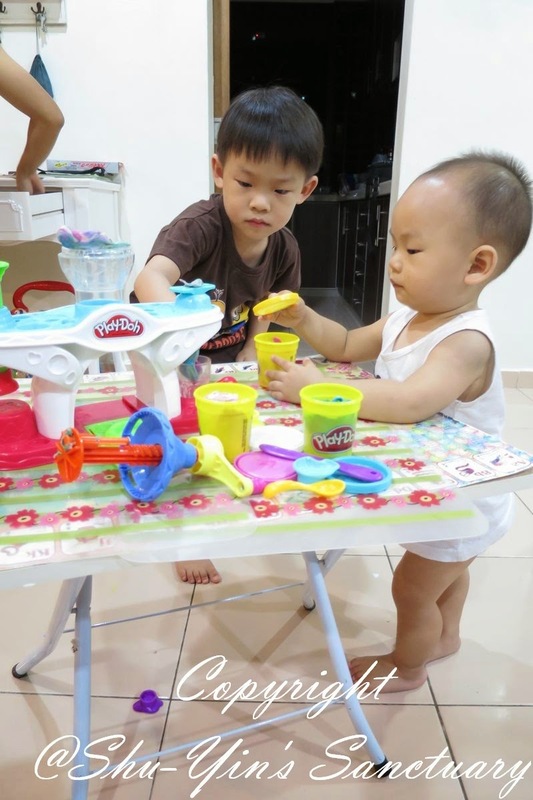 And even indoor activities, such as playing with their Play Doh, or doing some art and crafts. All these activities need hand washing after. 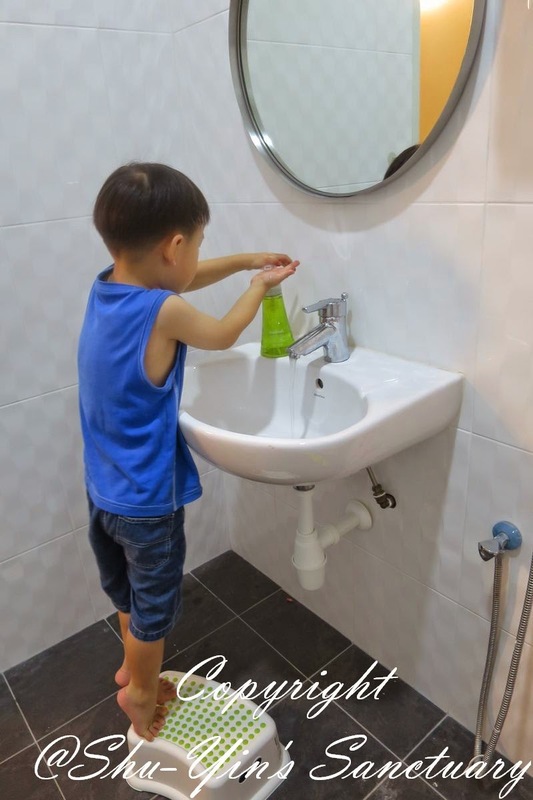 And not even to mention the countless times my kids need to wash their hands before and after every meal AND the never-ending snack time throughout the day! They can get quite dirty like this...LOL. 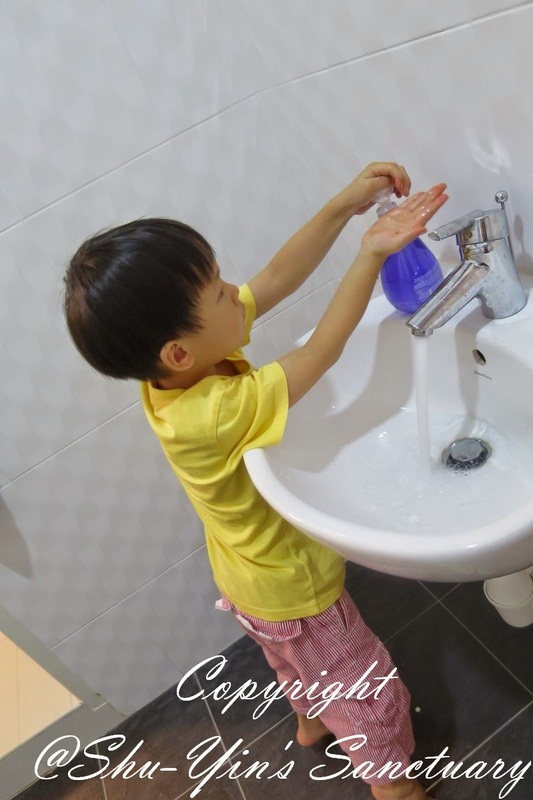 As for me, I wash my hands like 80 times a day! lol. Ok, that is a bit far-fetch. But I also wash my hands countless times a day. After every diaper change of pee and/or poo of Khye and even Shern, I'll have to wash my hands. 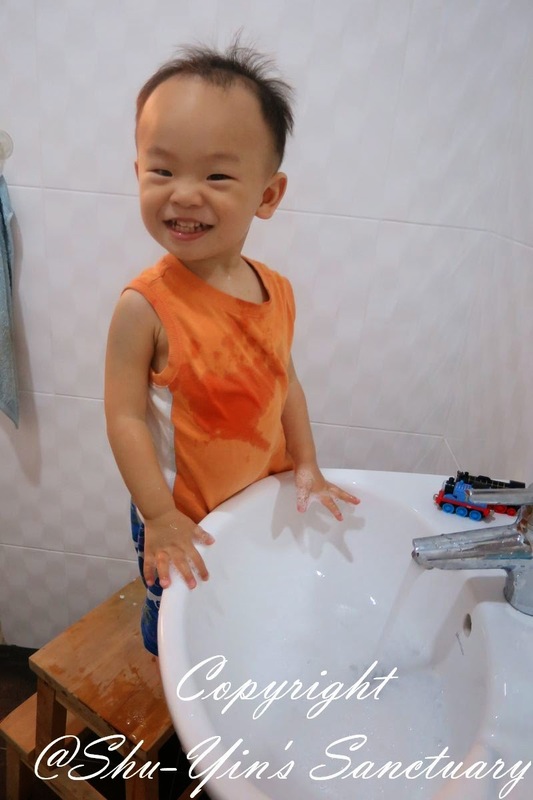 And because I am a breastfeeding mum, sometimes I do need to express my breastmilk, and thus I need to wash my hands before I express milk, and also after I express milk when I wash my breastpump. And I also wash my hands after I sweep the floors or do housework. I think you don't want to know the number of times I need to sweep the floors a day! haha. Yes, because I see crumbs everywhere left by my kiddos. And recently I cook up a storm, so obviously I need to wash my hands before and after every meal preparation. 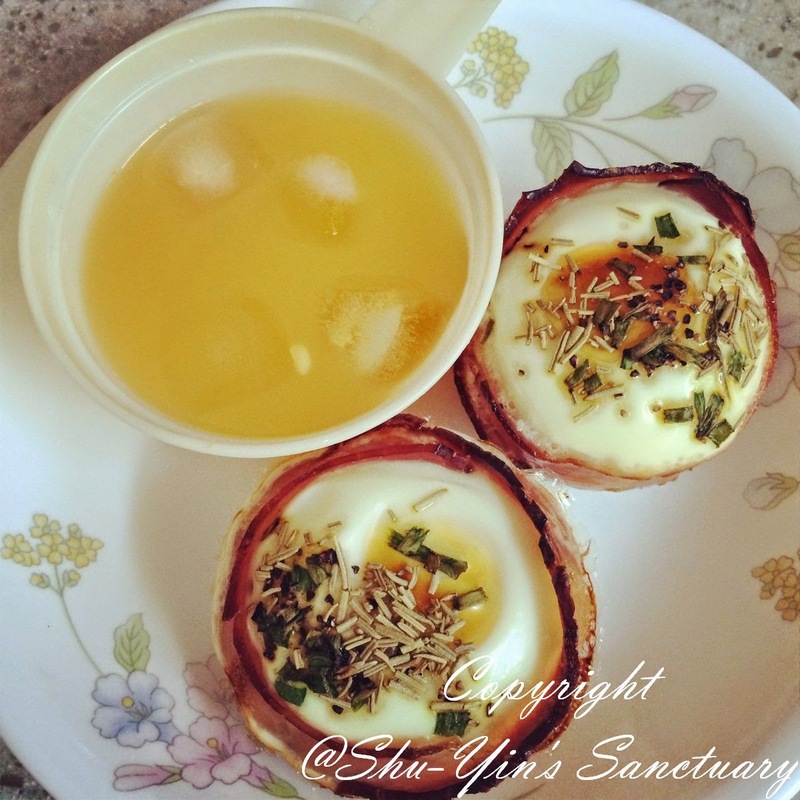 These are some of the yummy things I'd dish out for the past few weeks. 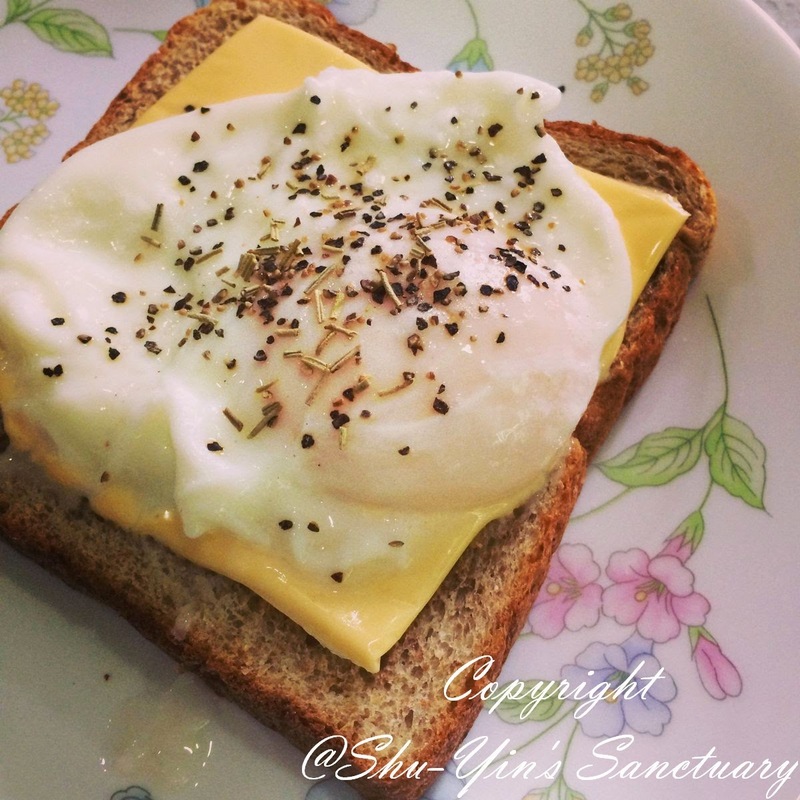 Please don't drool! And I must really declare that method hand wash washes really well. No matter dirt or oil, it cleans is away and my hands are clean after wash.
And the good thing is that my hands don't feel dry (like some hand wash does!). So is good and I like it and don't mind washing my hands more often than I would need to! 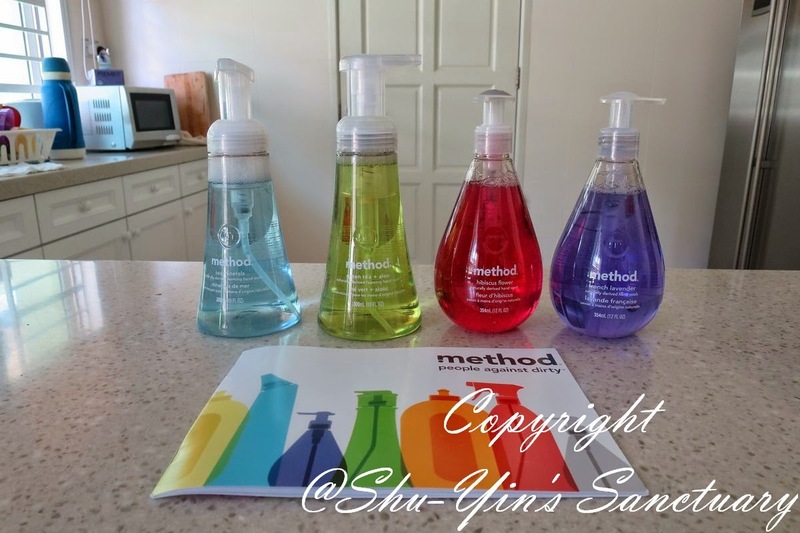 And so, my whole family, including my hubby, loves method's hand washes! 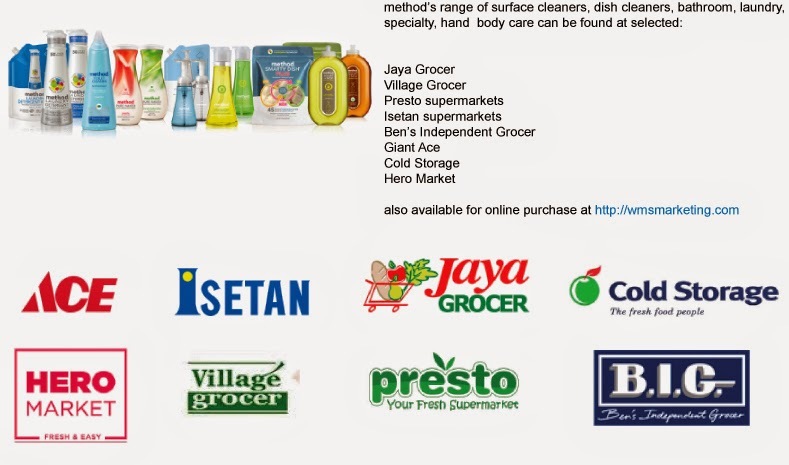 You readers out there can join the Clean Happy Awards at method Malaysia Facebook page! 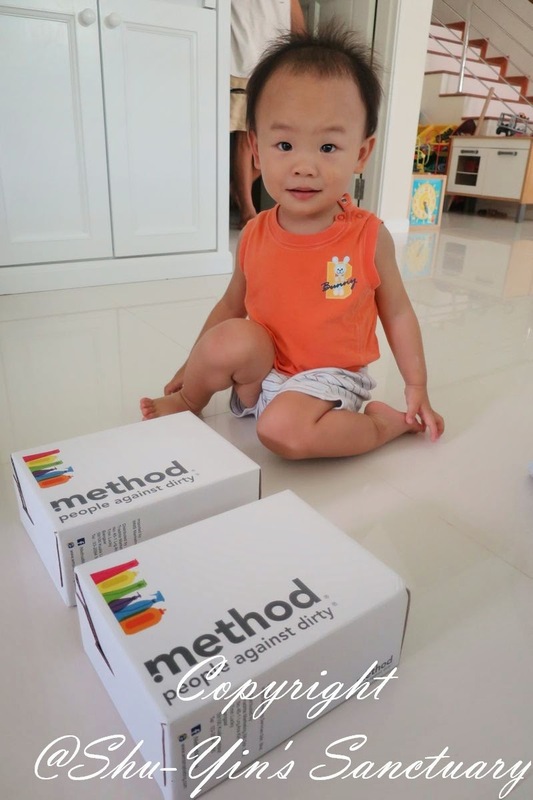 - Just submit a photo of your best Kid Mess on www.fb.com/methodmalaysia. 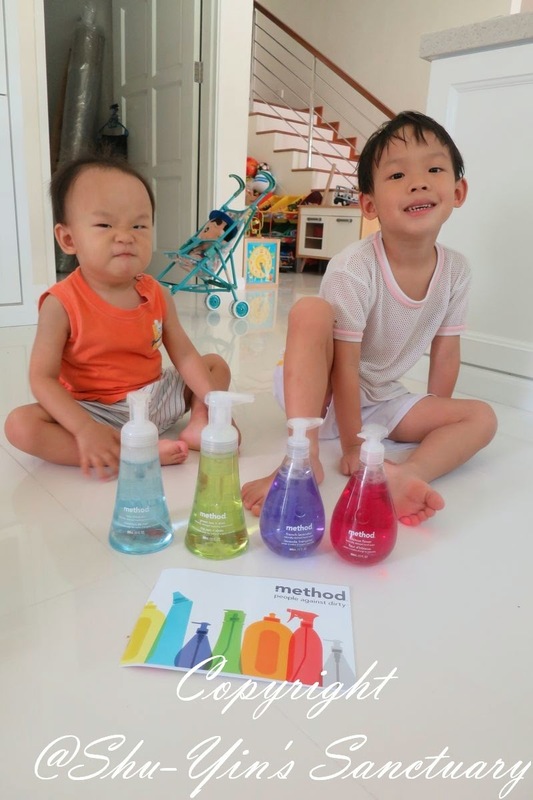 - Use hashtag #cleanhappy and #methodmalaysia on your photo. 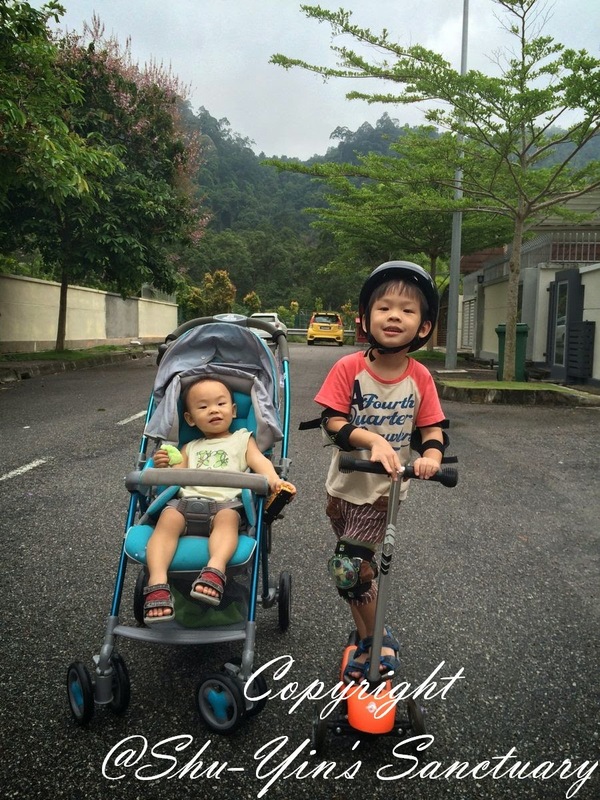 - Like the contest post on www.fb.com/methodmalaysia. 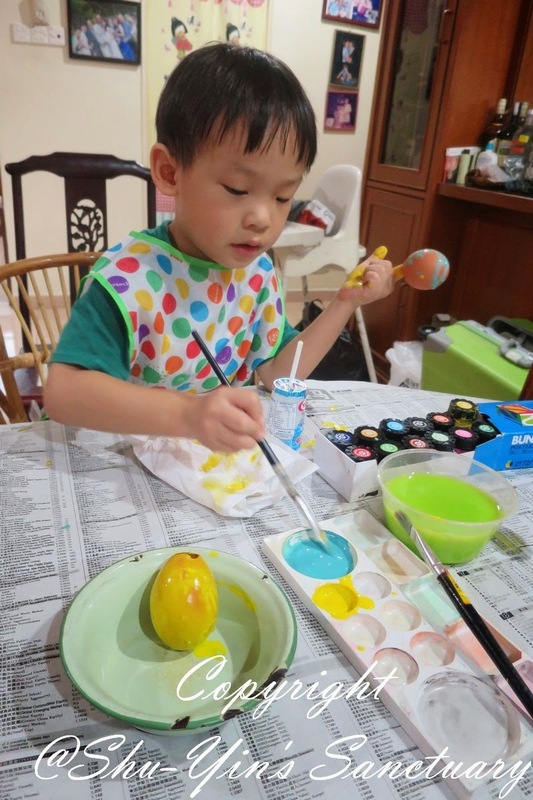 - Method will choose three photos of the kid who made the messiest, most adorable mess in the home. 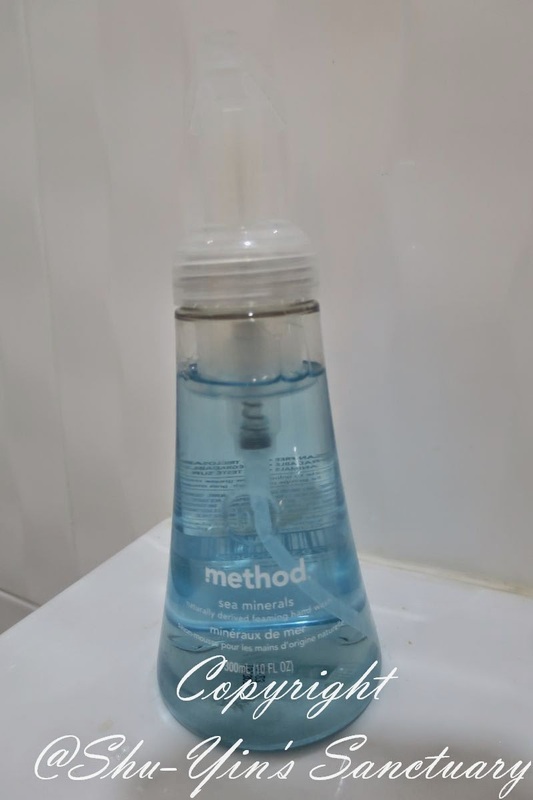 - You can also purchase method's range of gel and foaming hand washes at leading supermarkets and grocery stores in Klang Valley. You can also visit method Malaysia Facebook page for more info. 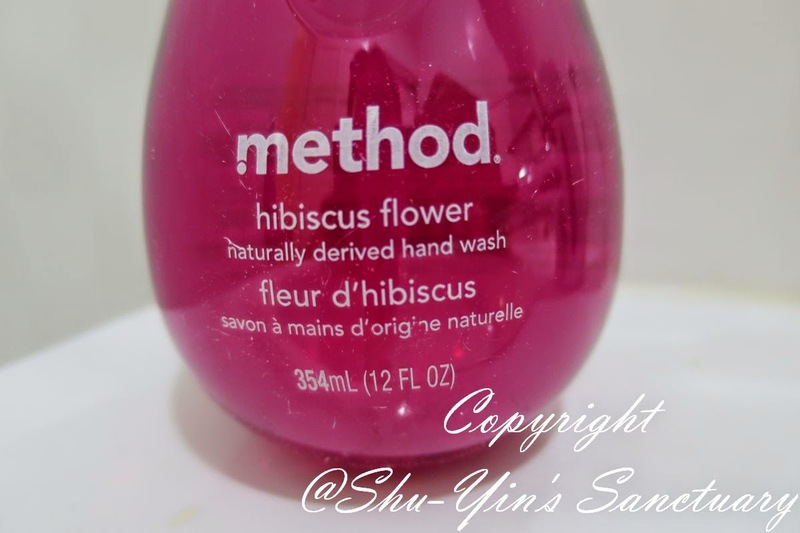 * Disclosure: I received method's hand washes for review purpose, but no monetary incentive was received. 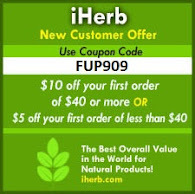 All text and opinions are of my own and represents my honest opinion of the product(s).